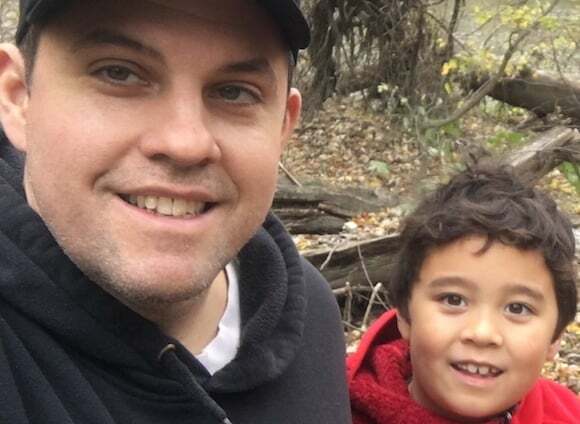 Last week, I found myself where no parent ever wants to be: in a hospital emergency room, next to my big guy – he’s 7. On the way to school, he’d experienced severe abdominal pain and bleeding, so we rushed to the hospital. It happened so fast that we feared the worst. I sat next to his bed under the fluorescent lights, watching him lightly snore next to his favorite stuffy, Penguin. Nurses came and went to check his vital signs, and I stroked his hair. A million thoughts passed through my mind. I love this kid more than anything in the world. I would do anything, make any sacrifice, to keep him happy and healthy. I needed to be there, because as much as he needs that medicine in the IV, he needs me and his mom, and every kid needs to be in their parents’ arms to heal. I also thought about the thousands in our state – and millions across the country – who don’t have access to health care, or lose everything because they get sick. All across this country, unexpected health emergencies are leading causes of bankruptcy and homelessness. You can easily lose your job, home, and savings when you or a family member gets sick. That’s just the American Way, at least for now. This goes to the heart of who we want to be as a nation. Do we want health and dignity for our communities, or do we want to accept that people must face, through no fault of their own, this kind of pain, despair and intolerable choices in the richest country in the world? Health, and health care should be human rights. No one, and no parent, should ever have to choose between their health and their livelihood, or their ability to spend time with a family member who needs their help in an emergency. I’m one of the lucky ones: my wife and I have health insurance, and we live in a state that by national standards is relatively generous. Vermont had expanded Medicaid even before the Affordable Care Act in 2010. We even passed a state law in 2011 to offer universal health care, but our governor and legislature got cold feet: they pulled the plug. So this law stayed on the books, but has never been implemented. 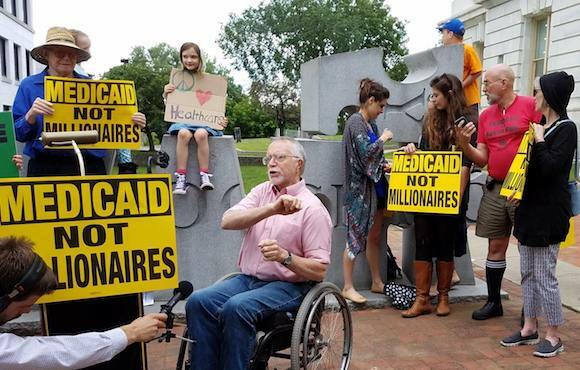 As a result, well over 100,000 in Vermont are uninsured because they fall into the coverage gap: they make too much to qualify for Medicaid, but can’t afford to buy it themselves. Nationwide, millions go without care because they can’t afford it. That’s why, in 2015, we founded Rights & Democracy. We understood health care was too important for half measures, so we started organizing in Vermont and New Hampshire to create a comprehensive approach that could win something as big as universal health care. We realized that no amount of phone calls would ever accomplish a goal this ambitious: so if we wanted to win, we had to build a real movement based on people power, in a way that could affect elections and recruit real champions, so our elected leaders don’t just testify their support then move on. We get them elected, get them to be policy makers, and then hold them accountable. That’s what we do. So far, we’ve successfully fought for a law that guarantees paid sick days to everyone in Vermont, and we’re working towards that goal in New Hampshire. Our next step is paid family leave in both states, and we’re confident we can win that one, too. We think of this as a health care justice movement, which goes from universal access to fighting the epidemic of addiction and overdoses, which have ravaged our rural communities. Part of building a health justice movement is fighting for robust health services, so we stop the drug war on a local level, where we’re putting people into incarceration when what they really need are public health and mental health services. In both Vermont and New Hampshire, our governors are up for reelection this year, as is the First Congressional District in New Hampshire. Over the spring and summer, we’ll go out into rural communities and organizing candidate forums across our states. 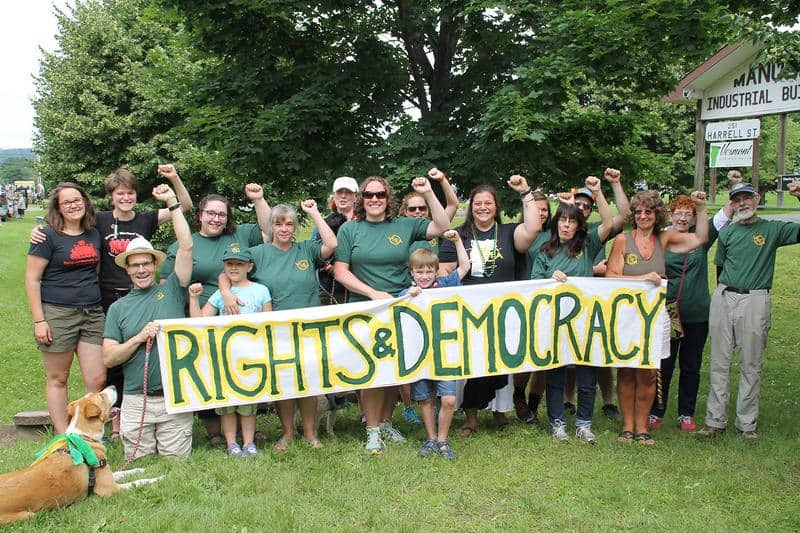 Many of our Rights & Democracy members are planning to run for office themselves. There’s also a growing movement to support Universal Primary Care in Vermont, which can lower costs and save lives right now in our state. There are two bills for this that are in committee, but cold-foot legislators want to kill the bills and turn them into “recommendations” instead.But there is no way we are going to stop fighting, because our lives are on the line. Back when we first started fighting for universal health care, we knew it had to start at a state level. There’s a growing momentum across the country to support Medicare for All, and it would indeed be far easier and more effective to create a single, simple system that is fair to everyone. But it has to start somewhere: with us. So we’ll continue to push at a state level, and are committed as ever to building a nationwide movement. My big guy, fortunately, bounced back, and we were able to go home from the hospital the next day. They think it was a viral infection, which fortunately passed quickly. Still, that moment when no one knew what was going on felt like an eternity. We were thankful that it didn’t turn out to be any of our worst-case scenarios, and I was able to take time to be by his side. It was a scary moment I hope we never have to face again, and one I wouldn’t wish on any family. Our health care system is broken. It’s more of a sick-care system, where people only go in an emergency, then get run up at the cash register when they get there. Strong communities start with strong families, and these basic standards are necessary for a family-friendly economy where everyone can thrive. We must work towards a society that supports everyone to be able to live and raise their family, and where everyone can live happy and healthy lives. And we start this work here and now, together.